Somerset all-rounder Josh Davey has signed a new contract extension which will see the Scotland International remain at the club until at least September 2020. The 28-year-old claimed 34 Championship wickets at an average of just 25.35 in the 2018 campaign, which included his first five-wicket haul for the Club when he took five for 65 against Yorkshire at Headingley. After signing his contract extension Josh told the club website: “I’m delighted to have extended my contract with Somerset. The Club is providing an environment in which I feel I can continue to develop as a player. “I feel that my game is going from strength to strength and I believe that my best years are ahead of me. Aberdeen born Davey has played 29 ODI's taking 47 wickets at 21.57, with a best-bowling display of 6 for 28. 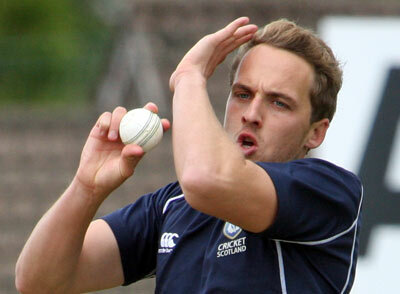 He has also played in 14 T20I's for the Scots, taking 14 wickets.